A UNICEF-supported programme provides HIV/AIDS counseling and treatment as well as life skills training for adolescents in Tanzania, where young people are at high risk and often lack access to services and support. Neema is one of 50 out-of-school HIV-positive young people who were trained in entrepreneurship and management of microbusiness by a local faith-based organization called Pastoral Activities and Services for People with AIDS Dar es Salaam Archdiocese (PASADA), a UNICEF partner. Most of the children and adolescents getting support from PASADA were orphaned by HIV and AIDS and have been stigmatized by their communities. The centre offers them psychosocial support, social networks, access to HIV care and treatment, and life skills and sexual reproductive health education. Children and adolescents in Tanzania are disproportionately affected by HIV. According to 2012 figures, an estimated 250,000 children aged 0-14 years and 140,000 adolescents aged 10-19 years in the country were living with HIV. Tragically, fewer than three in 10 eligible HIV-positive children accessed life-saving HIV treatment, compared to almost seven out of 10 adults. With support from UNICEF, PASADA uses various outreach approaches to identify HIV-positive children and adolescents, including provider-initiated testing and counselling at their network of health centres, home-based testing, testing at children’s homes and street children drop-in centres in Dar es Salaam. In the past year, they have tested more than 14,000 children and adolescents aged 0-19 years, with those found HIV-positive accessing care and treatment. Through PASADA, nearly 1,000 HIV-infected children and those affected by HIV are currently reached by these clubs providing psychosocial support and life skills to reduce loss to follow up, improve treatment adherence and health outcomes. 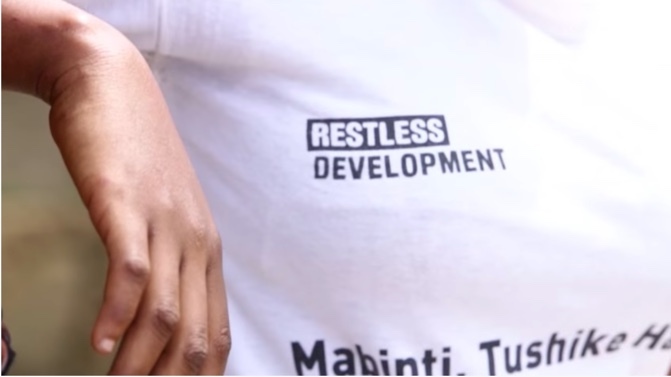 Central to making better progress is the recognition that HIV counselling and treatment should be part of wider services that are more sensitive to adolescent needs, such as sexual and reproductive health and family planning information, and guidance on disclosure. To address inequities and remove barriers that prevent adolescents from accessing prevention and treatment services, UNICEF and UNAIDS are launching the ‘All In!’ initiative, which paves the way to ending adolescent AIDS by aiming to reduce new HIV infections among adolescents by at least 75 percent, and increasing HIV treatment to at least 80 per cent of adolescents living with HIV. These global goals will be achieved through context-specific programmes including prevention, testing, treatment, care and social change that focus on adolescents living with HIV or most at risk.